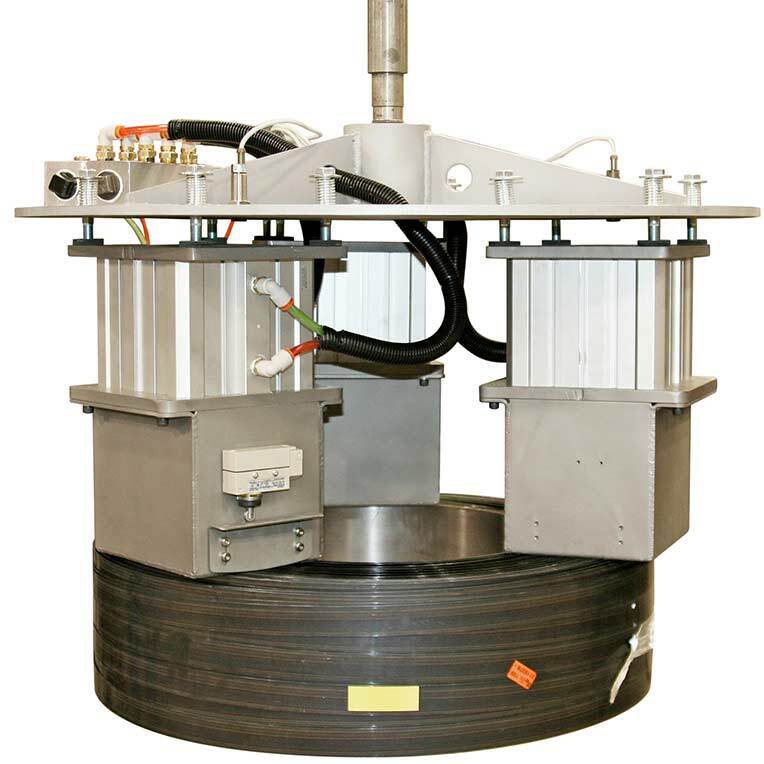 Our Patented Transporter® Cylinder Actuated (TPCA) Magnets utilizes powerful, Rare Earth, Permanent Magnet Circuitry to pick and place metal parts. 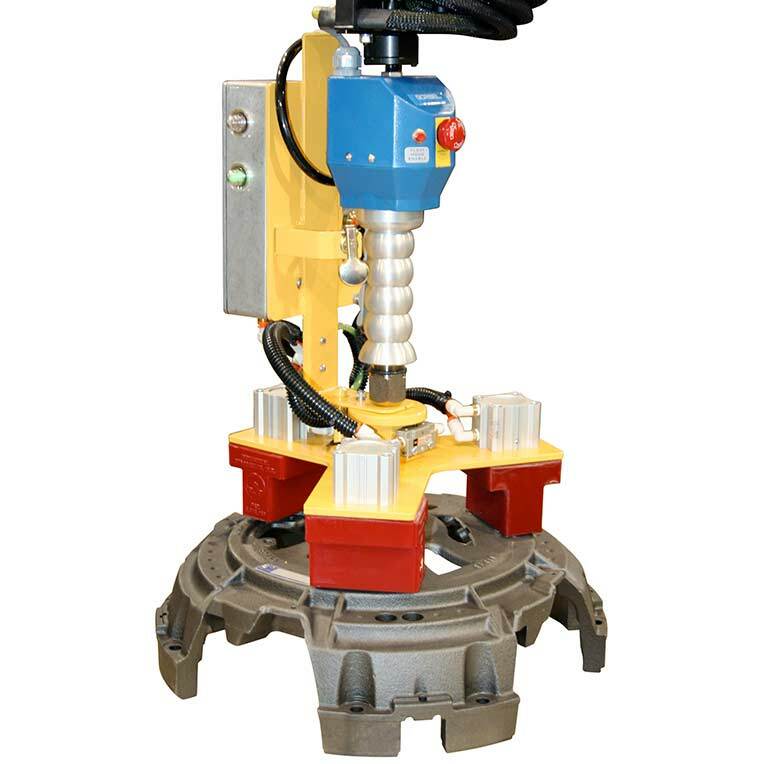 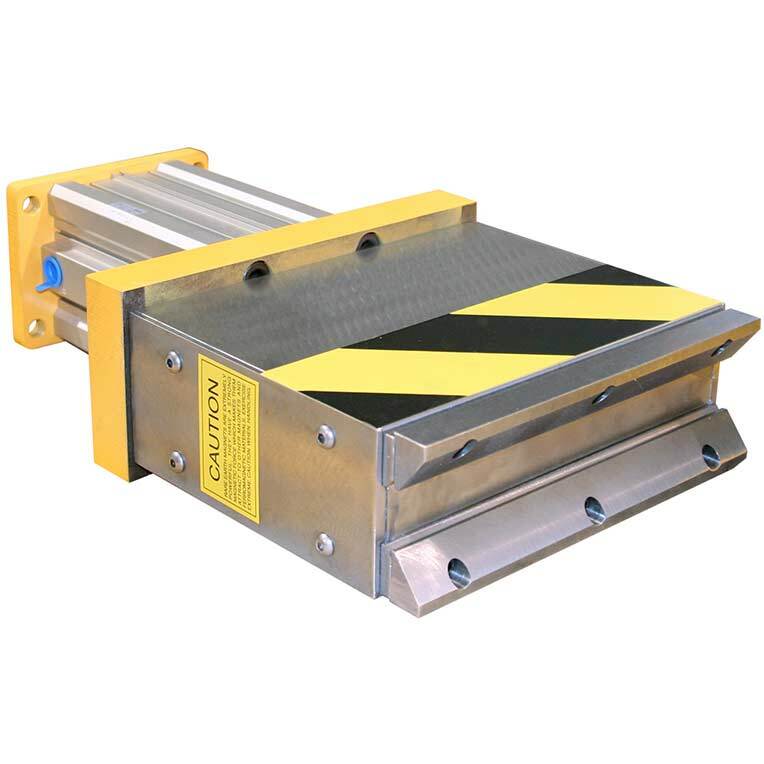 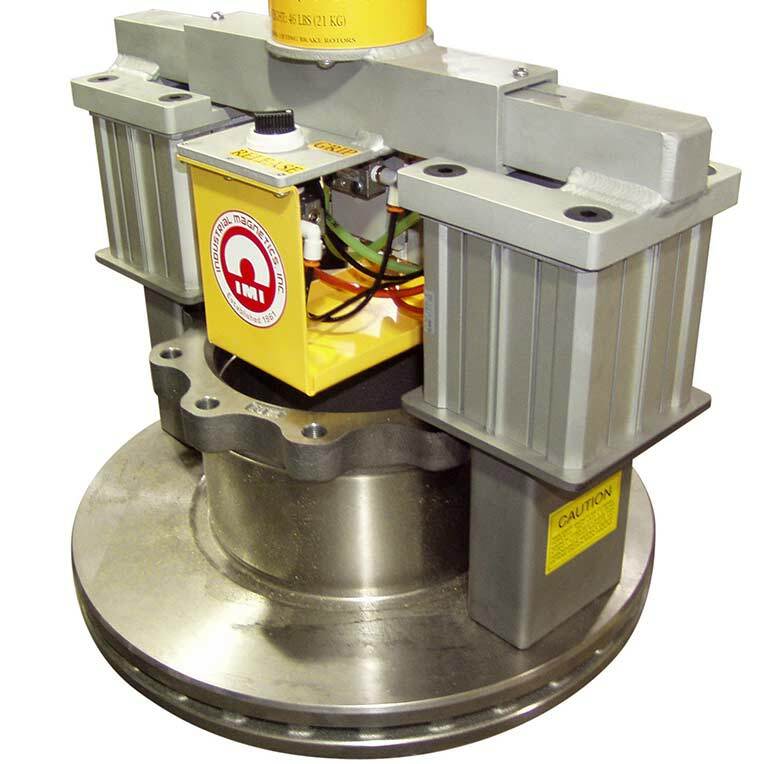 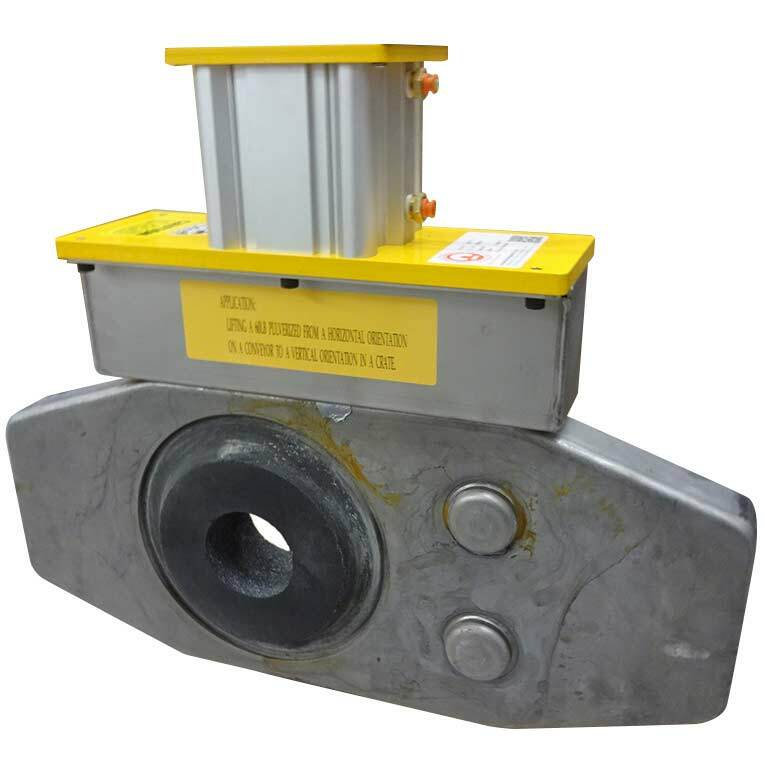 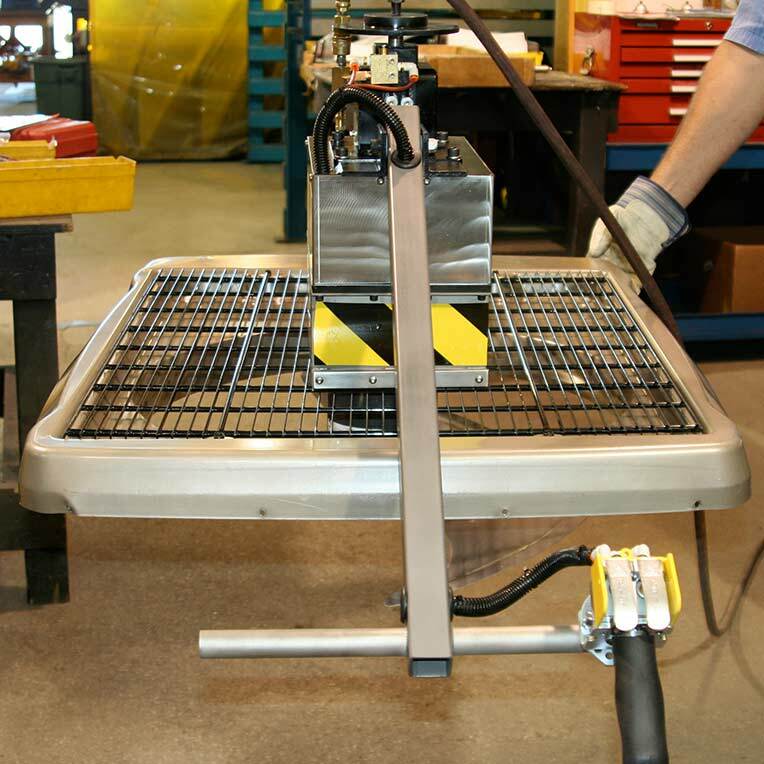 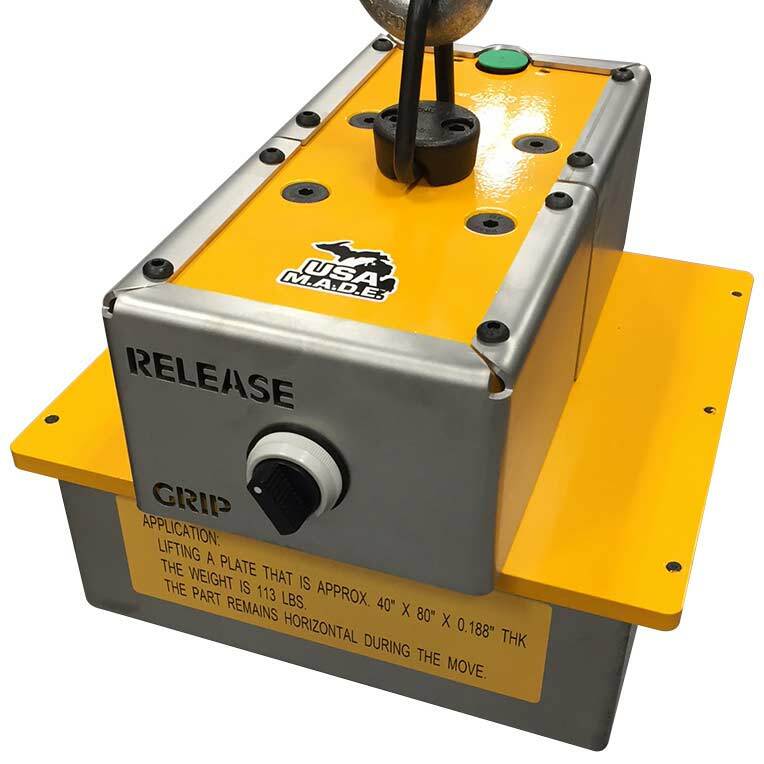 These lifting magnets are often used in automated transfers or lift-assist material handling applications. 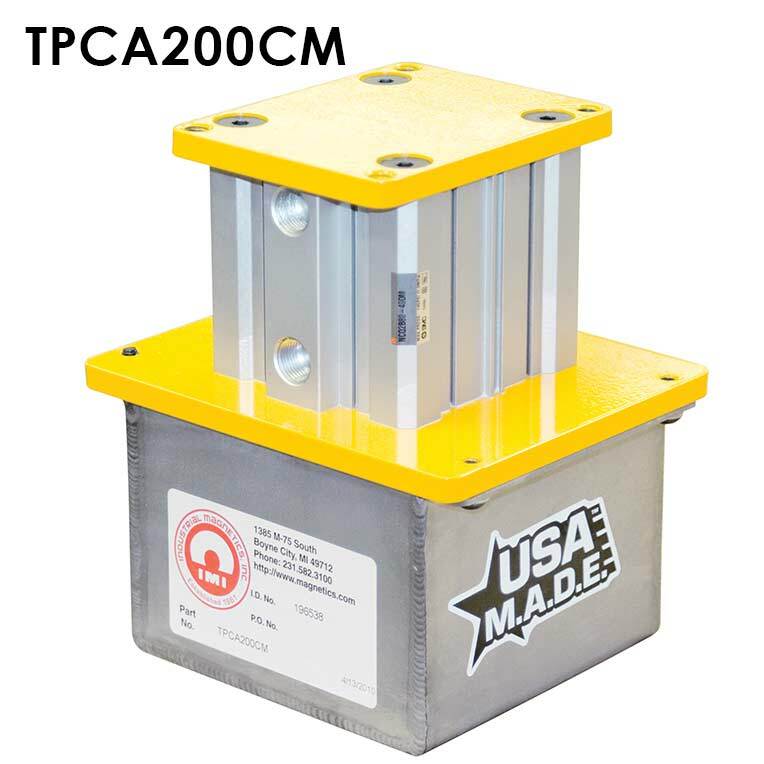 TPCA's are designed to handle heavier parts than our TPLP (Transporter® Low Profile) series. 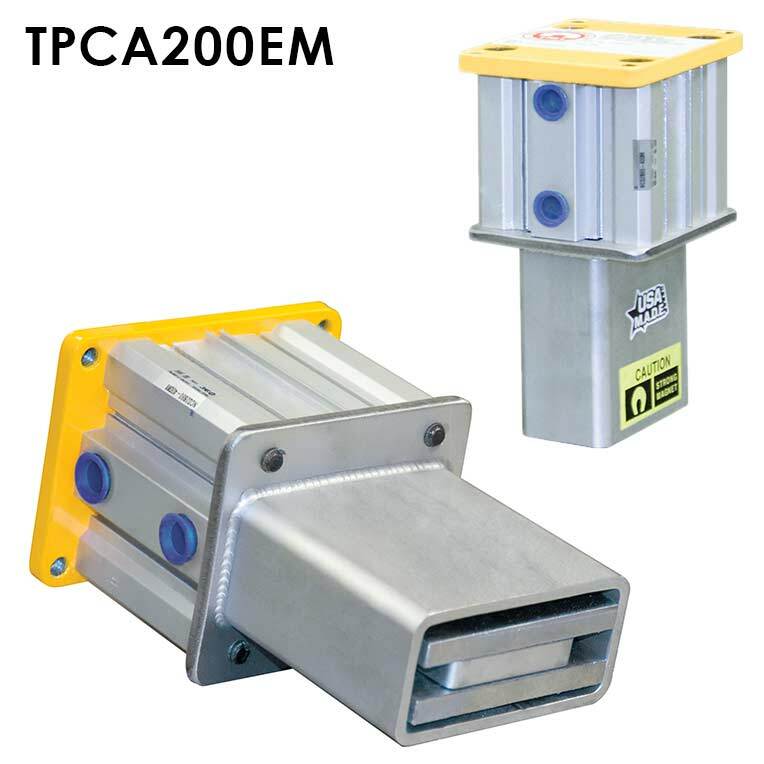 Stamped, forged and hydro-formed parts or complete parts assemblies, TPCA's provide material handling safety while significantly minimizing shop air costs. 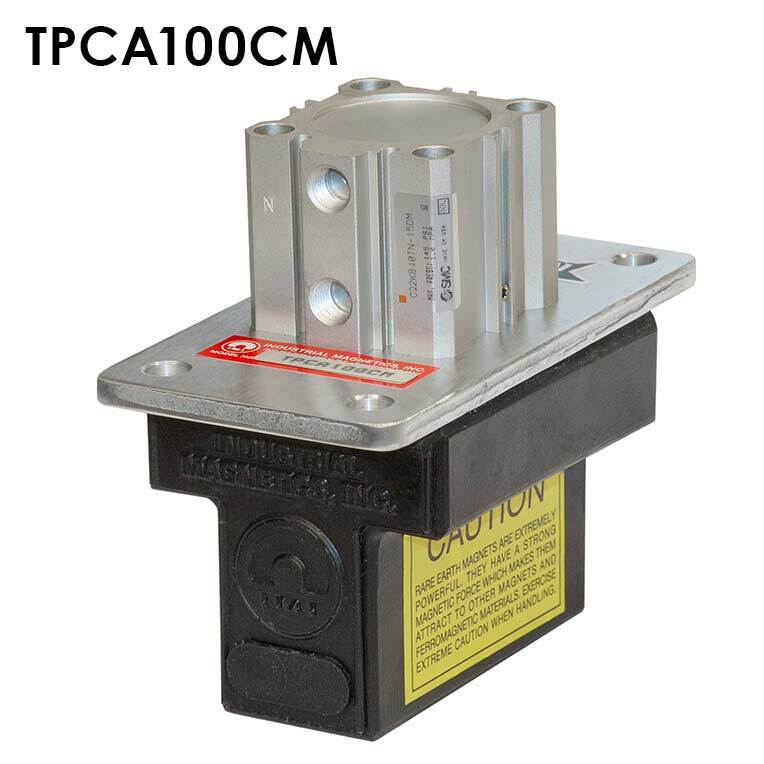 Ideal for applications in Automotive under body parts, Lawn/Farm equipment components, Application pumps, compressors, motors, fan assemblies and more. 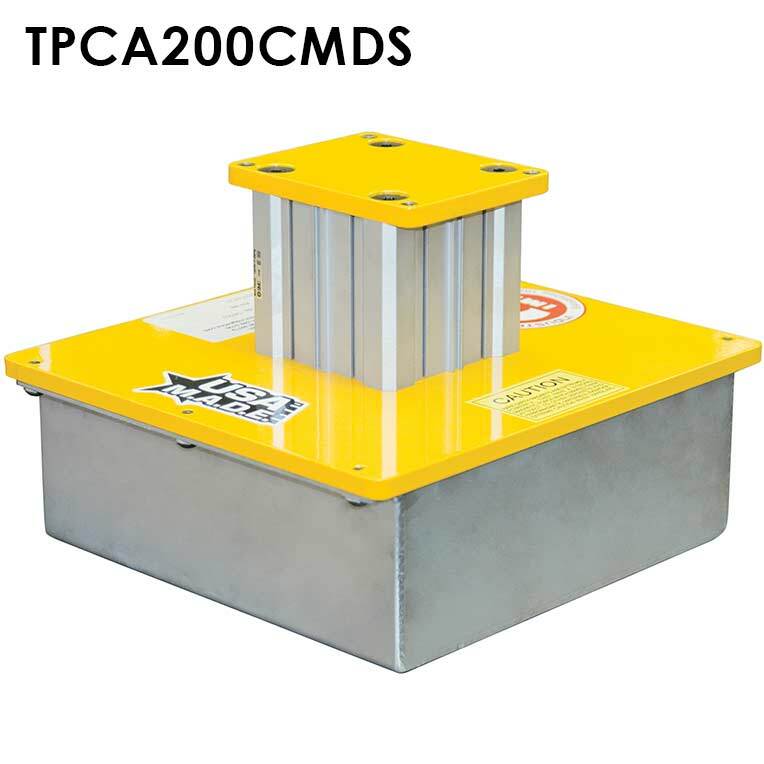 You can often find our TPCA magnets replacing vacuum cups and grippers in common lifting and moving applications for steel sheets, blanks, stamped parts and complete assemblies.